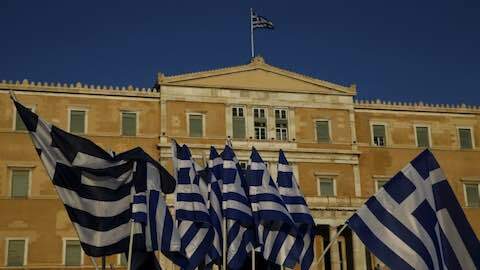 Greece's public debt can be manageable, the euro zone bailout fund said, responding to a leaked report by the International Monetary Fund that the country's debt will explode to 275 percent of GDP by 2060. "We believe that Greece's debt burden can be manageable, if the agreed reforms are fully implemented, thanks to the ESM's exceptionally favorable loan conditions over the long term and the recently adopted short-term debt relief measures," the ESM said. In the document, seen by the Financial Times, the IMF calculated that Greece's debt load would reach 170 per cent of gross domestic product by 2020 and 164 per cent by 2022. But it would become explosive thereafter and grow to 275 per cent of GDP by 2060, the paper quoted the report as saying. "As a result, we see no reason for an alarmistic assessment of Greece's debt situation," the spokesman said. The IMF assessment of Greek debt developments may make it impossible for the Fund to join the current bailout for Greece, now shouldered only by euro zone governments, because the fund's policy is to enter programs which in the end allow a country to cope on its own.